Imitation is the best form of flattery. And it’s happening now for the Big Ad. 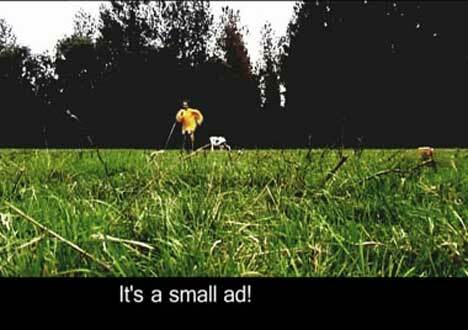 StudioMuscle have produced “Small Ad” with a cast of two, a tribute to the Carlton Draught Big Ad. Instead of thousands of men in gold and maroon and white running through the plains of New Zealand, we have, well, two men running through a Belgian field. The story behind the ad can be found at the StudioMuscle blog. Studiomuscle is Belgian platform for music, movies, gigs and ‘general silliness’ – a collaboration between Wio D’hespeel, Hans Gruyaert, Jürgen Deblonde, Bert Lafontaine and Hendrik Dacquin. Hendrik’s the video artist. See their profile at Blip.tv.